DOR's end links are the biggest and strongest Dodge Ram end links ever made. They might even be the biggest end links in the world, period. They are 1.25" OD DOM tube that is powdercoated black, with 3/4" shank chromoly heim joints and hex tube adapters. These are bigger than a lot of control arms out there! We use 1/4" pressed brackets and custom stainless 303 hardware with Grade 8 SAE and Class 10.9 metric hardware to make it all work. 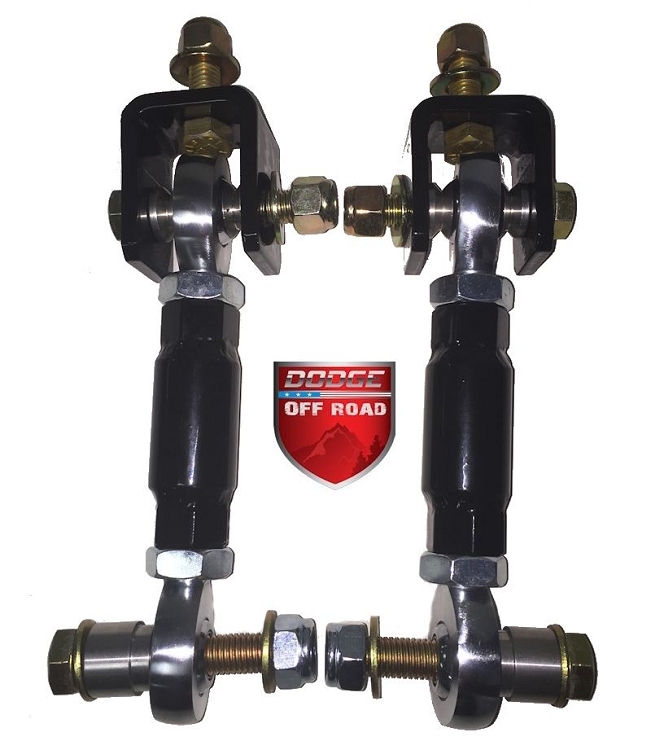 We are now making them for 94-97 Ram 1500/2500/3500 4x4 trucks that have the cobra-style sway bar mounts on the axle, but they only work on taller lift heights 5" and up (see info at bottom of listing). If you have a smaller lift and want to run our end links, you'll need to cut the cobra mounts off and weld new tabs on. This listing is for the bolt-in end links. These are much, much stronger than the cheap factory end links, and will last exponentially longer. 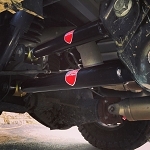 They will also allow your suspension to move a little more, even with the factory sway bar. If you want to upgrade to our torsion sway bar, you can use these end links and save yourself a little money, but again they only work on lift heights 5" and up unless you cut the cobra mounts off and weld new tabs on to convert to the 98+ style. These fit all 1994 - 1997 Ram 1500 4x4 trucks with at least 7" lift. These fit all 1994 - 1997 Ram 2500/3500 4x4 trucks with at least 5" lift. 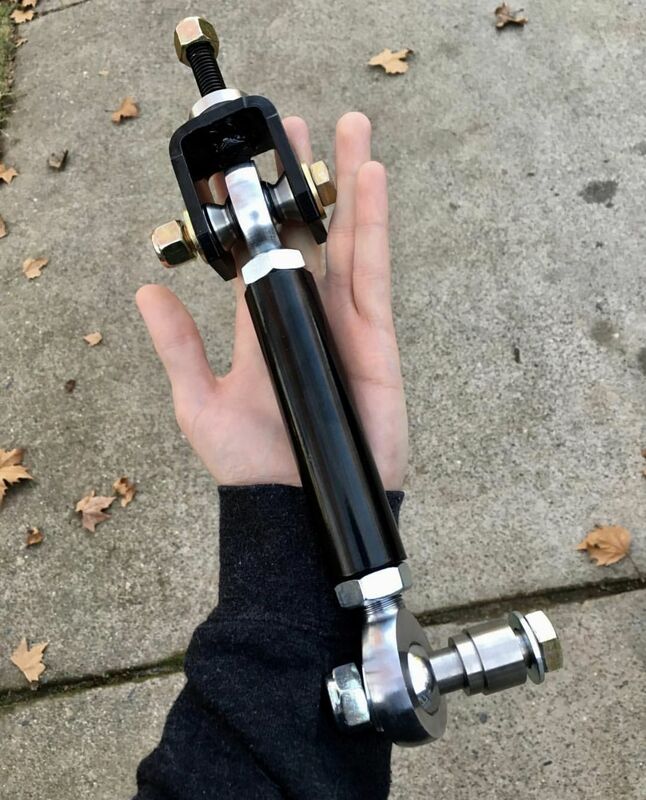 These end links are insane, they are probably 4 times the size of the stock end links. 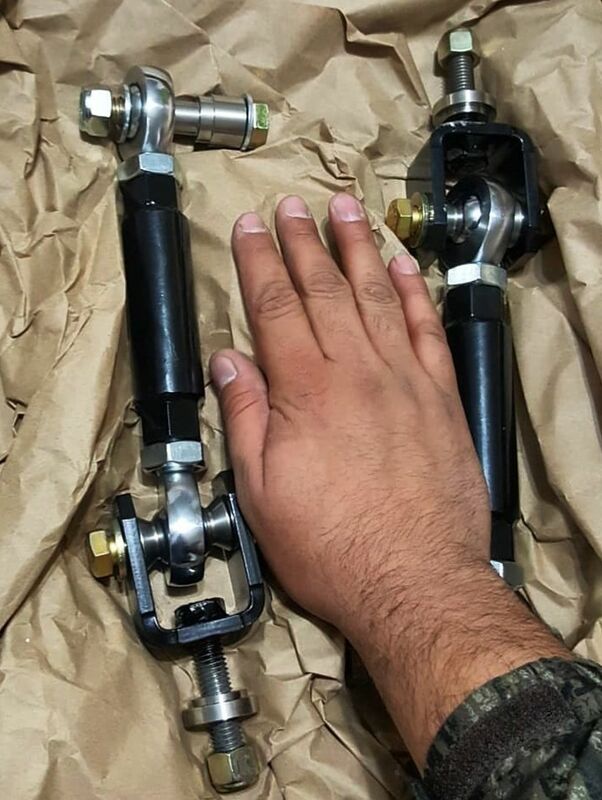 They are actually the same size as some control arms I've seen! The heims are huge, everything about these is pure beef. So glad I ordered them. Thanks! A: These end links fit 1998 to 2013 trucks only; the earlier 2nd gen models have the cobra mount which is different, as you noted. If you are able to, you can cut that mount off of the axle and weld a basic tab on, and then run our end links. Q: What "ride quality" and control do your end links add? Also, I only have a 2" leveling puck or kit installed, will these work with that set up? Thank you, Tim. A: They don't change the ride quality at all. If the stock sway bar is hooked up, it will ride the same with any end links. The benefit of these is that they don't wear out like smaller end links do. If you want a better ride, our torsion sway bar is what you are looking for. It reduces the spring rate of the sway bar and lets the suspension move, without inducing excessive body roll. The 94-97 end links don't work with less than 5" lift unfortunately, unless you cut the cobra mounts off and weld new tabs on to make it like a 98-02 sway bar setup.